Last week I attended SAP’s annual conference SAPPHIRE NOW in Orlando as a “social reporter.” For three full days, I live-blogged and live-tweeted my way through almost a dozen conference sessions, I created 9 blog posts, 83 hash-tagged tweets and more than a few Facebook comments and likes. When it was all over, I collapsed into a social media stupor. I flew home after the show and aside from a few responses and notes of appreciation, I found myself suffering from what felt like a social media hangover. I’m feeling a little better now and wanted to share my reflections on what this experience taught me about myself, my connections and about social media marketing in general? For three days after the show, I felt my social media haze and headache. I sporadically checked in on my connections across the various networks but just couldn’t bring myself to dive in and create anything. It was a self-induced intervention! This left me wondering: had my creative juices been sucked dry? And would my desire to connect and create content return? Finally on Sunday night, while enjoying the familiar confines and comfort of home, I caught up on email and started to realize that it is always nice to get away and even better to come home. I answered over-due emails and even began to dream of this post and started considering the answers to the questions I posed above. What I learned about my connections? What I learned is that you all certainly have enough to read and consume already. While I always seek to meet the needs of the audience here on B2B Marketing Insider, I think missing a post last week and lightening up on my tweets, LinkedIn updates and Facebook comments was not a huge disappointment to anyone. Maybe you were even relieved! Did my traffic stats go down? Yes a bit, but I am not writing for the pure ego boost of blog stats. You are all people who understand the ebb and flow of conversations, so maybe my blog should take a break now and then from my very serious blog posting schedule. The big lesson: you all got along just fine without me! What did I learn about myself?I have always straddled the line between introversion and extraversion. After a week of hyper-social physical and online activity, I needed a physical, mental and emotional break. I only took 3 days but now I’m feeling recharged and ready to jump back in. I realized that I put a ton of pressure on myself to maintain a steady flow of activity. Sometimes it is because I have something to say but mostly it is because there is so much great information out there to share. I realized that these pressures are self-inflicted. So I will come back with an extra focus on quality. If I don’t have something to say, I might just skip a post or even a whole week. What did I learn about social media and marketing? I learned that when it comes to content and consistency, quality trumps quantity every time. I know that Consistency and persistence are keys to building marketing momentum but quality needs to reign over the amount of content we marketers pump out. Sounds like a good idea for many of us! And so, as business becomes more and more personal, and we move from content pushers to conversation enablers, I think it is ok to take a break now and then and to allow the conversation to go on without you! It might even be more fun and intoxicating to see it take off on it’s own. What do you think? 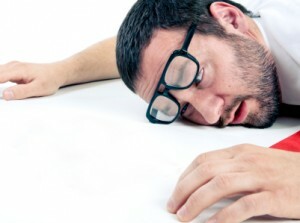 Have you ever had a social media hangover? Wonderful honesty in a socialized world where some of us live and breath authenticity, interaction, engagement; while appearing to be endlessly productive in filling their digital social streams. I remember when I wrote this post about the New ROI, when social activity increased my inner pressure of giving (and maybe failing) social value… https://www.thestrategyweb.com/the-new-roi-if-i-only-had-time – I might have had one that day…. Amen to the honesty within the past few entries and to Michael for leading the charge! As an independent trainer I forecast and prepare for the next need in our business and human development world. I’m thinking it may be a good idea to prepare for the interventions needed 36 months from now. “Detoxing from Social Media” or “I think my partner is sneaking tweets in the middle of the night” or “SA = Social Addicts Anonymous: 12 Steps to Social Media Freedom.” Yes, with every major change comes a new disorder. I’ve got the bug too! Marcus, love the forward-thinking! I have totally been busted by my wife for tweeting while out to dinner. There was a lovely-looking drink I just had to share with a twitpic! She thought I might be having a #twitteraffair but it’s really just my #twitterdiction. Too much of a good thing… can ruin the appetite. Next time, why not keep most of that comment private and then create an ace blog post or article after ideas have marinated on your return? For some b2b marketers (and I don’t know you at all to say if you fit the bill! No offense intended), the mental high from being in “always-on, gotta say something now” mode can be fun but also strays close to addictive and compulsive behavior over time. Whether that’s ‘a good’ or ‘bad’ thing depends on a lot of things. Thanks for writing this post. Hi Mark, Thanks for the comment and support. And great idea on holding on to some ideas. Marinating in the creative juices can produce a better blog post for sure. But sometimes I’m afraid I’ll lose the thought. There is a scratch pad on my desk with a handful of ideas for posts and I often email myself from my blackberry. I find that I have forgotten more blog ideas than I’ve captured. So my new approach: capture the idea on paper or email but let the full content marinate for at least a few days. I know exactly what you mean. In addition to getting addicted to being always on and connecting with so many great people virtually (constantly), I also might have fallen victimr to a condition that that I first saw described in the NY Times after South By Southwest: #FOMO. FOMO stands for Fear of Missing Out :-). Thanks Natascha, it was great working along side you at the show. I love the #FOMO tag and will definitely use that one! As marketers social media has opened so many doors. We think that we need to use it to our advantage all of the time. However, there can be too much of a good thing. It’s all about the target audience. How often do they want to receive our messages? There’s sometimes a fine line between useful and annoying. Don’t go overboard. That’s what I learned Nick! We have to balance wanting to be involved in as many conversations as we can with our audience with the reality of being human. And so to be authentic, I think it is more than ok to take a break every once in a while. Thanks for the comment and support. In every field and especially in social media it is more so about working smarter than harder. For instance, I have experimented with statuses and on Facebook vs. Linkedin. For a while I thought that I had to keep a very high degree of activity to make it known that people can look to me for information, but then I realized two main things. For one, people got annoyed about the high volume of updates from my profiles. Secondly, I realized the more you post the quicker posts get pushed down your page and thus it is less likely people will comment on older posts; this is true for even for linkedin where I discovered there is even more incentive for people to be intellectually engaged than facebook. Thanks Addam. I really like your perspective and you bring up a great point about not creating your own distractions to the content you have that could really resonate with your target audience. Another good reason to take it easy and go with the flow.